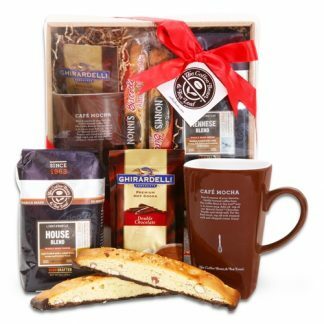 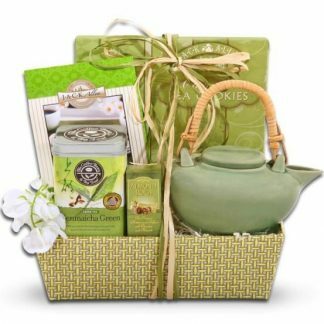 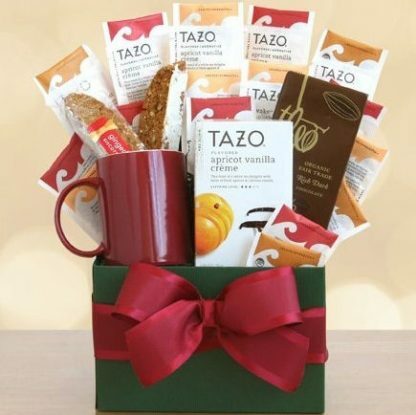 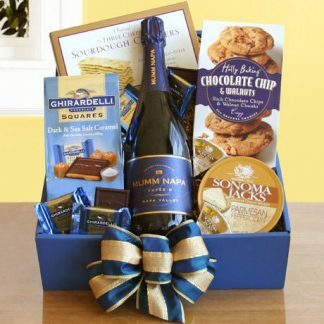 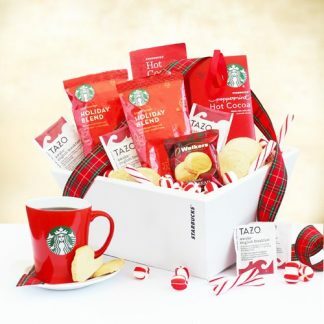 Sip your way to a beautiful day with this comforting gift. Stocked with an assortment of the finest Tazo teas from Zen and Passion to Organic Chai and Earl Grey, they are ready to be enjoyed in an earthenware ceramic mug. 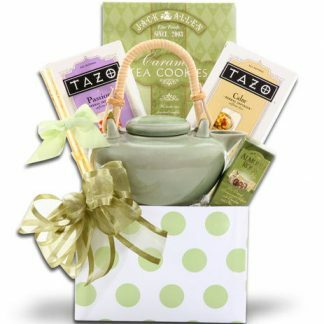 Topped off with the sweetness of a Theo organic chocolate bar and 2 biscotti cookies, this gift is presented in a simple but elegant gift box.